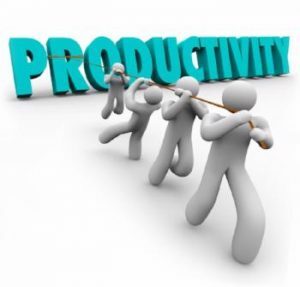 Do you know what to measure in order to improve team productivity? Knowing what to measure before you take the job will set you up for future success. Knowing which measures of your previous success to present in the interview will help you get the job. And, if you are in a leadership role now, knowing how to align your team’s objectives with company goals is a must. This week we continue with our theme of “Five Keys to Improving Team Productivity.” Today, I will talk about the second key, deciding what to measure. We understood that placements don’t occur until interviews happen, so these were all logical KPIs. But what if you are not in sales or marketing, where it is easy to quantify revenue, new customers, customer retention, and leads generated? How Can You Find the Metrics to Measure Your Team? The answer is that every role, no matter what department or level, has some form of metrics. It’s a matter of defining what success looks like for each role. Every role in a business exists to solve a problem. If no problem is being solved, that position will soon be eliminated. Accounting – How many days from the end of the month until the books are closed? If you can reduce the number of days from 10 to five business days, that is a success metric. Can you reduce labor hours on a monthly basis in order to streamline and achieve that early close? Can you improve on Accounts Receivable collections? If your company has an unacceptable number of accounts due past 90 days, how can you engage positively with customers to find out what is causing the delay? Can you help them set up a plan and thus improve cash flow by a specific percentage on a monthly or quarterly basis? Information Technology – If your IT department is serving hundreds of users, you likely have a ticketing system for technology issues. Was there a backlog when you joined the firm? You can measure and reduce the number of tickets outstanding month-over-month and set goals for improving response time to within 24 hours versus 48 hours. You could decide to measure the reliability of your company intranet, reducing the number of downtime occurrences in a month from eight instances to two. You can also measure the number of users impacted, and the length of downtime occurrences, with the goal of reducing that as well. Operations – Customer Service often reports into operations. There are many customer-related metrics you can implement to improve productivity. Some simple measures are number of customer calls handled, length of call time, and success of solving issues. It is more important, though, to measure customer satisfaction. That can be achieved with a three to four question survey, but in order for the survey to help improve productivity, each question must be actionable. For instance, if you learn that customers are experiencing long wait times, you may need to improve training, boost staffing, or add resources that help representatives make smart customer-friendly decisions. Human Resources – One of the most important areas for HR to measure is employee engagement. Today there are excellent resources to measure what may appear at first glance to be subjective and impossible to measure. It is important to “level set” or to get a measure of current employee engagement, and then to set concrete goals for improvement over a period of months and years. It is important to tie other metrics to improvements in employee engagement, including reductions in regrettable turnover, and improvements in productivity. Bottom line, each department has many measures in common that can contribute to improved productivity. These include employee retention, budget management and monitoring, on-time project completion, and the launch of new company initiatives. The key is to decide in advance what to measure, why it matters to executive management, and faithfully record improvements. Next up, we will examine best practices to help establish norms for reporting and accountability.